This study aimed to examine the relationship between physical activity and happiness through systematically reviewing the existing literature. A systematic search of major databases including PubMed/Medline, PsychInfo, SportDiscus, and Embase was performed in 2017 for original research articles published post-1980 with the related keywords of happiness and physical activity. From 1142 retrieved records, fifteen observational studies (thirteen cross-sectional studies and two longitudinal studies) and eight intervention studies (six randomized controlled trials and two non-randomized trials) were included for further analysis. These studies involved a wide range of population from various countries and areas. All the observational studies reported positive associations between physical activity and happiness. As little as 10-min physical activity per week or 1 day of doing exercise per week might result in increased levels of happiness. 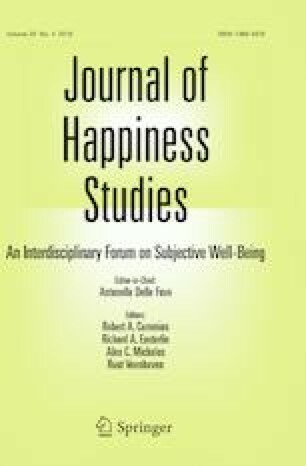 Mediation effects were examined in two studies indicating the positive relationship between physical activity and happiness might be mediated by health and social functioning. The randomized controlled trials mostly focused on older adults and cancer survivors, and suggested that both aerobic exercise and stretching/balancing exercise were effective in improving happiness. Evidence showed a consistent positive relationship between physical activity and happiness. However, due to the limited number of randomized controlled trials, we cannot draw firm conclusions regarding the causal relationship between physical activity and happiness. Future research is suggested to explore the mechanism of how physical activity influences happiness and to determine the optimal dose and type of physical activity for gaining the benefits of happiness. WHO. (2014). Mental health: A state of well-being. Retrieved from http://www.who.int/features/factfiles/mental_health/en/.